Thiel is giving $1 million to the Club for Growth, a hardline conservative advocacy group. The donation to the Club for Growth, revealed Thursday in a new campaign finance disclosure, could be a signal that Thiel plans to re-assert himself as a political donor despite some unease with Trump. 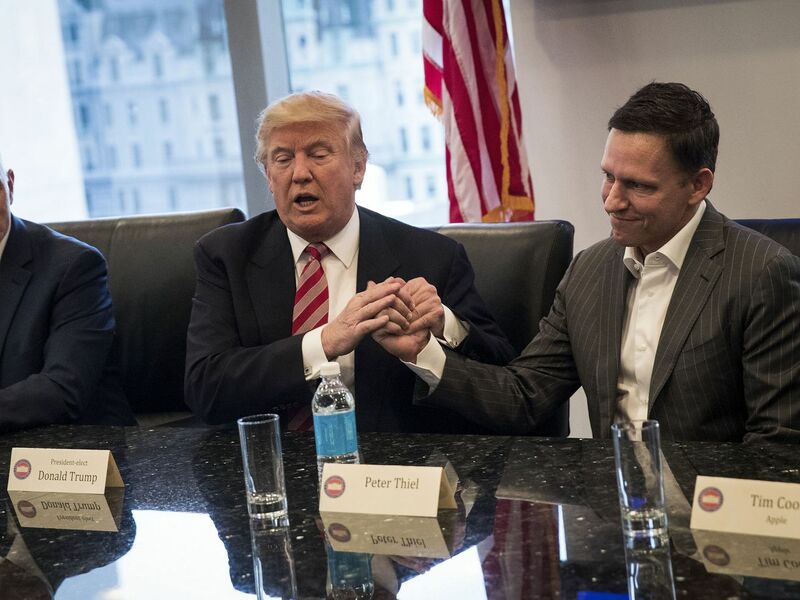 Thiel has been a fairly modest giver in the grand scheme of presidential politics, but his vocal and financial support of Trump in the last cycle made him a real political player in the early days of the Trump presidency. Thiel moved to Los Angeles earlier this year — a change of address that he’s attributed to a revulsion to Silicon Valley’s politics and culture. The Club for Growth is a hardline conservative group that has gleefully challenged Republican incumbents in primaries. It has focused almost exclusively on fiscal issues, which should appeal to Thiel, who has described himself in the past as libertarian. A spokesperson for Thiel did not immediately respond to a request for comment.